Defaults vs Judgements: Which Causes More Damage to your Credit File? Are you wondering why you may have a bad credit rating even after keeping your credit card balances low or staying below your credit cards spending limits? Well, if you have records of judgment and foreclosure in your credit file, chances are—you’ll get a bad credit rating. 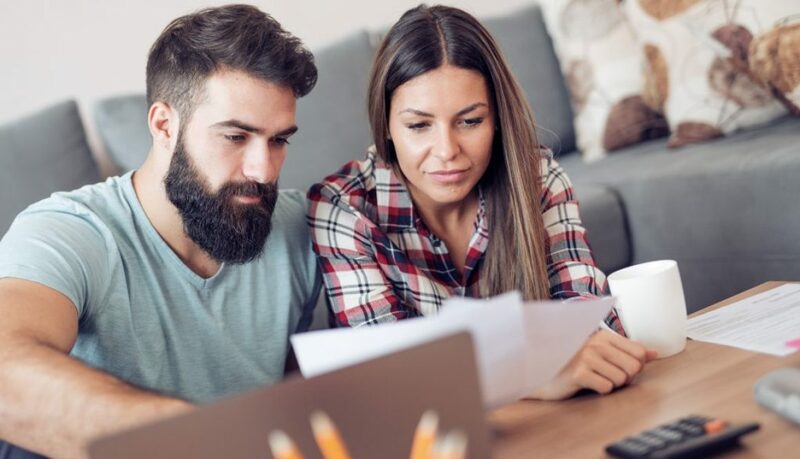 However, having these issues should not be a major stumbling block to improving your credit score and getting any other low-interest finance arrangement. It is a verdict given by the court judge that you have to pay back the money you owe. The debt becomes lawfully. Let’s say you took a loan from Company X. For months, you ignored the collection notices, so they decided to apply to the court to get judgement in their favour. The court will issue summons to you, formally inviting you to attend the court hearing. Company X is the plaintiff, you are the defendant. Based on the allegations and supporting documents submitted by the plaintiff, the debt is due and the judgment must be given in favour of the plaintiff. What will happen when the judge ruled against me? The person you owed money can start remedies for the recovery of your debt. For instance, the bailiffs may come to your doorstep to get the judgment money from you. What happens when I fully settled my judgement debt? Judgements may stay in your credit report for up to five years. But, the moment you paid or settled your debt, you can ask your creditor or its attorney to update your report at the credit reporting companies in the country, as paid or settled. Although lenders who conduct credit risk assessment may still take the entry of judgement seriously, their perspective may change the moment they noticed that you paid off the money you owed already. Is it a big disadvantage if the lender realises that my previous creditor had to take me to court just for them to recover the money? Sadly, many lenders would be hesitant in lending money to someone who has to be dragged to court before repaying a debt. But, people make mistakes—and if it is one of them, you also deserve a chance to do it better this time. What if I appeared and court and the judge set aside or struck out the judgement? You need to inform the credit reporting agencies right away. Send the a request to remove the judgement record on your credit file and attach copies of appropriate documentation from the court. There are two types of default: Payment default and order of default. Payment default refers to overdue accounts. The information will stay in your credit report for five years. Order of default means the lender can get a judgement in their favour without having to go through a full blown trial because you did not appear in court or requested for a hearing. One of the consequences of payment default on a mortgage loan is foreclosure. If you default on your mortgage loan, your mortgage lender can initiate a legal proceeding to take ownership of your home. The moment the foreclosure proceedings start our credit file will be updated, showing that your mortgage is in foreclosure. When you don’t pay your mortgage, your home is foreclosed, when you default on car payments, it is repossessed. You missed the first payment, and went on and on until the lender decided to foreclose on your home. Foreclosure is not a warning, but a final status for your mortgage. It means that you didn’t exert an effort to repay the loan from the original delinquency date up to the latest missed payment, resulting to the foreclosure status. The foreclosure can stay in your credit file within seven years. You violated the terms of the contract. When you didn’t pay your mortgage dues, you are defaulting on the mortgage contract. You are violating the terms of the mortgage or deed of trust pertaining to the payment conditions. Missing payments is considered as a breach of the payment terms of the contract. You didn’t fight back. When the banks or lenders file a foreclosure case in court, you will be issued summons. When it happens, be sure to appear so you can present your case. Otherwise, the lender may obtain an order of default. It means that the bank can get a judgment against you for foreclosure without having to go through court proceedings. In short, they can get a judgment without the need of proving that you are indeed in default. As a homeowner, always file an answer to the lawsuit. When you receive the summons, make sure that you show up during the hearing on the matter. It will prevent the bank from requesting for an order of default judgment. When you receive an order of default, you can initiate some legal actions to have the default judgment to vacate of dismiss it through timely and appropriate motions in court. So, which wins in this “Defaults vs Judgements” contest? None, both of them can seriously damage your score, if not settled right away. It’s either you pay your judgement debts and ask the lender to update your file that it is recorded, or you contest default and judgement entries that are incorrect or unverified so your credit score would increase abruptly. Contact Clean Credit if you have any enquiries.